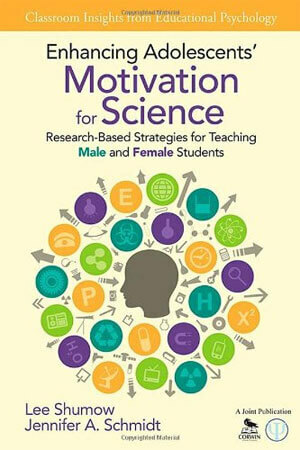 Jennifer Schmidt and Lee Shumow wrote the book – literally – for teachers seeking the best ways to motivate high school students to learn and love science. Now the educational psychology professors from the NIU College of Education are turning their attention to after-school and summer projects that enroll underserved and underrepresented youth. 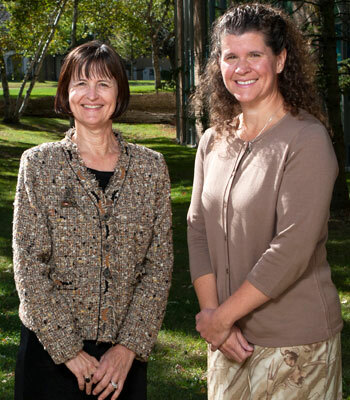 Schmidt and Shumow, who teach in the Department of Leadership, Educational Psychology and Foundations, are in the early stages of a $1.2 million study of two separate STEM-curriculum programs in New England. They hope their work will attract a greater diversity of students into the academic pursuit of science, technology, engineering and math. 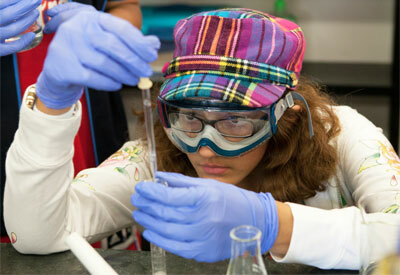 Conveying the importance of STEM to young people is crucial to securing a prosperous and sustained future, Shumow said. “We currently don’t have enough public understanding of science. People need to have an understanding and appreciation of science to be citizens, to make decisions in life,” she said. Meanwhile, because many teachers feel pressured to devote much of their instructional time preparing students for “high-stakes testing” such as No Child Left Behind, Schmidt and Shumow want to build consensus on what constitutes, and provide guidance in, best practices for informal science learning. Their work next summer will shed light on how the delivery of informal science learning activities cultivates youth interest and engagement in STEM learning. Afterward, they will disseminate information about those practices discovered to support youth engagement and sustained interest in STEM. Data collection will essentially replicate the experience sampling method of Science in the Moment, a project led by Schmidt, Shumow and former NIU colleague M Cecil Smith. Their work determined that high school girls are bored, disengaged and stressed in science classes when compared to boys. Participating students were quietly paged when the researchers wanted to gauge reactions to the content. When signaled, the students immediately reported what they were doing and thinking while they also rated their engagement, enjoyment, anxiety and concentration levels on a prescribed scale. Video cameras recorded every minute of every class, and the teachers wore microphones, providing audio-visual evidence of what actually was occurring at the time of each signal. SciMo findings fueled a $375,000 dissemination grant from the NSF to create professional development materials. Called ETEAMS – Empowering Teachers to Enhance Adolescents’ Motivation for Science – the grant funded production and distribution of a book (published earlier this year), video vignettes that demonstrate best practices and a website. All were available to teachers at no cost. A half-decade later, the vibrating pagers are giving way to iPod touches. The one-period science classes are now three-hour sessions, some of which will take place “in the field.” The students are in middle school. Members of the research team, which also includes an NIU graduate student and staff from AIR, will spend the next few months developing their testing procedures. In the spring, they’ll conduct some practice runs in after-school programs. Next summer’s data gathering also will include surveys and interviews of the STEM activity leaders. From the fall of 2015 through the summer of 2016, the research team will code and analyze the data, transcribe the results and prepare reports and papers. During the 2016-17 academic year, the team will develop an online STEM toolkit and companion booklet for practitioners.